Paul ‘The Chief’ Harragon is a legend of rugby league. He was an original member of the Newcastle Knights Football Club and a panelist on Channel Nine’s The Footy Show. Born and raised in Hunter, his 205 club games included: 169 for the Newcastle Knights, 20 New South Wales State of Origin games, and 17 Tests for Australia. Among a glittered career, his career highlight was leading the Knights in a come from behind victory over arch-rival Manly in the Optus Cup Grand Final. Paul’s dedication and commitment won the respect of his peers and the rugby league public but after a horrible run of injuries he retired in 1999. 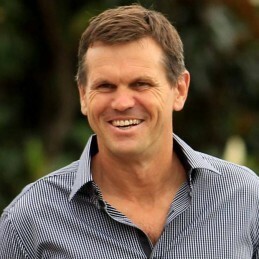 The Chief was a member of Channel Nine’s rugby league commentary team on The Footy Show until 2009. Paul was an ambassador for the 2000 Olympic Games in Sydney, a patron of the Hunter Medical Research Foundation, the NBN Telethon for Kids and the Family Action Centre. Paul Supports the Startlight Foundation, The Red Cross, The Fred Hollows Foundation, The Two Bishops Trust and Kids Safe. Paul has been recognised and received many awards. He was the recipient of the 1997 Ken Stephen Memorial Award for citizenship and serviced to the game. In 2000 he received an OAM at the Australia Day Awards. He was inducted into the New South Wales Hall of Fame in 2002 and in 2003 received the NSW Children’s Week Award for outstanding service to children. As a corporate or community speaker, Paul is always a popular choice for sporting and non-sporting audiences alike.